There are no contra-indications for Corpet. 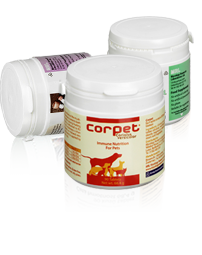 However, as antibiotics usually disrupt the digestive system, in small animals thereby reducing the absorption of Corpet. For this reason, Corpet supplementation should be undertaken 14 days after the termination of antibiotic use.